Read about mica in the Handbook of Nature Study on pages 758-759 (Lesson 215). There is not a lot of information in the book so use the links below to learn more and mica, what it looks like, its uses, and where to find it. You can read all about mica here: Rocks for Kids. For more detailed information about mica’s properties: Rocks and Minerals-Mica. Advanced Study: Rocks vs. Minerals study. You can read the explanation in this article and view the diagram to really understand the differences. Biotite: Read more and view an image. Muscovite: Read and learn more. You can use the printable activity in the ebook to make your rock hunt a little more fun. Print the page and use the grid to observe some rocks. If you have cold weather, you can use rocks from your rock collection indoors if you need to. If you don’t have the ebook, you can use the printable found at this link: Rock Observation. Use your follow-up time to create nature journal pages for mica or any rocks you have on hand. Use the information in the links above to create a description of mica, biotite, and/or muscovite. 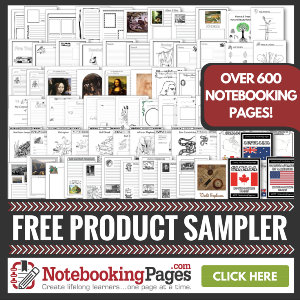 There are two notebook pages included in the ebook for you to choose from. Advanced Study: Use the notebook page provided in the ebook to do a careful study of a mica sample. Note this is an affiliate link to a product I love.